….Stand Up Missouri does not represent payday lending or payday interests. The coalition does not accept funding from any organization associated with payday lending and strictly represents the interests of traditional consumer installment lenders. Heh. Sandra Day O’Connor had a really good day yesterday, too. Rot in the eighth circle of hell. Progress Missouri today released a detailed research report exposing the influence of the American Legislative Exchange Council (ALEC) in the Missouri Capitol. Through ALEC, corporations hand Missouri legislators wish lists in the form of “model” legislation that often directly benefit their bottom line at the expense of Missouri families. Behind closed doors, numerous ALEC model bills are crafted by corporations, for corporations. 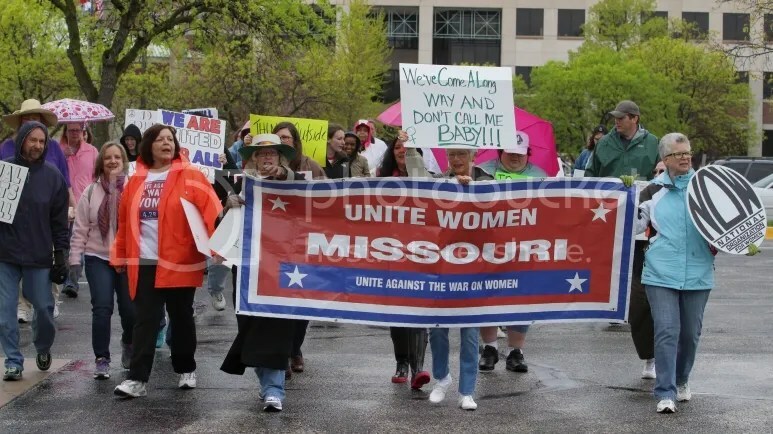 Elected officials who are members of ALEC then bring their model legislation back to Missouri, where they claim them as their own ideas and important public policy innovations without disclosing that corporations crafted and pre-voted on the bills at closed-door meetings with legislators who are part of ALEC. Participating legislators, who are overwhelmingly conservative Republicans, bring ALEC proposals back to Missouri and other statehouses as their own ideas and important public policy innovations, without disclosing that corporations crafted and pre-voted on the bills alongside legislators in closed-door meetings at fancy resorts. ALEC boasts that it has over1,000 of these bills are introduced by legislative members every year, with at least one in every five of them enacted into law. ALEC describes itself as a “unique,” “unparalleled” and”unmatched” organization. 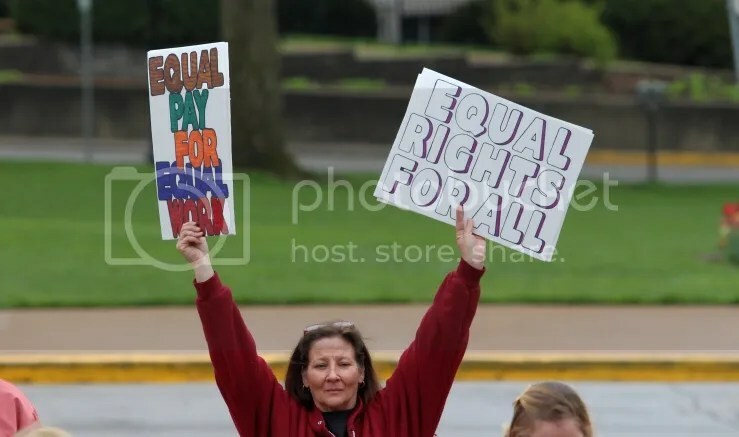 Activists for women’s rights gathered in Jefferson City today for a march and rally at the Capitol. 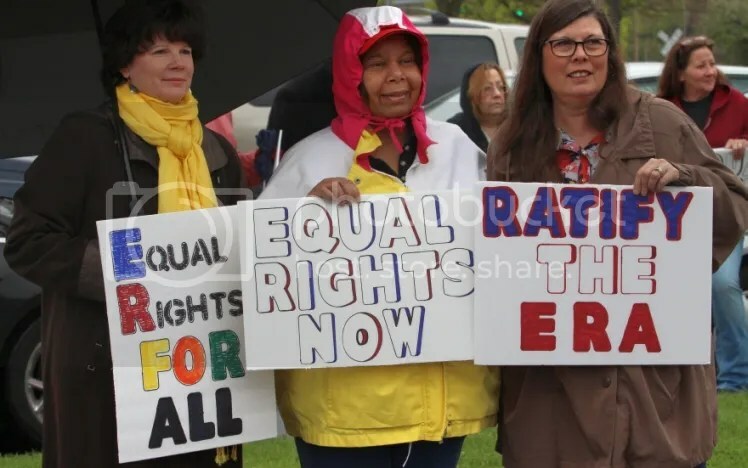 Over seventy-five individuals braved the cold rain and wind to show support for the Equal Rights Amendment, women’s rights and to hear speakers. Former state Representative Deleta Williams, a sponsor of the ERA in the General Assembly in the 90s, was the keynote speaker. 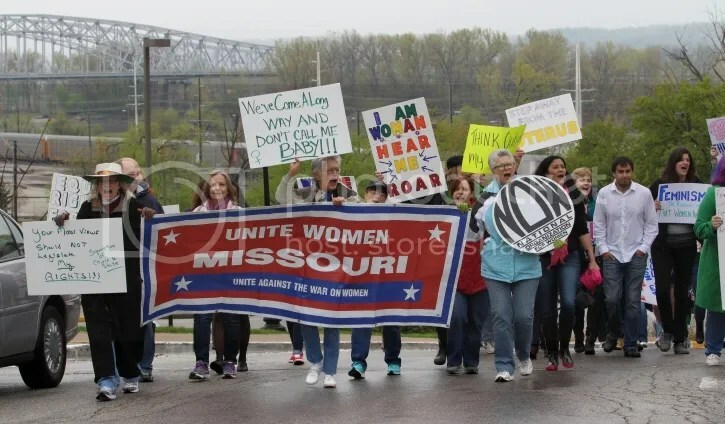 Former state Representative Deleta Williams (D) speaking at the Missouri Women United march in Jefferson City on April 27, 2013. So I decided to reflect on some, certainly not all, who have refused to let the fire go out on women’s rights as I believe inspiration can be gotten from others experiences. 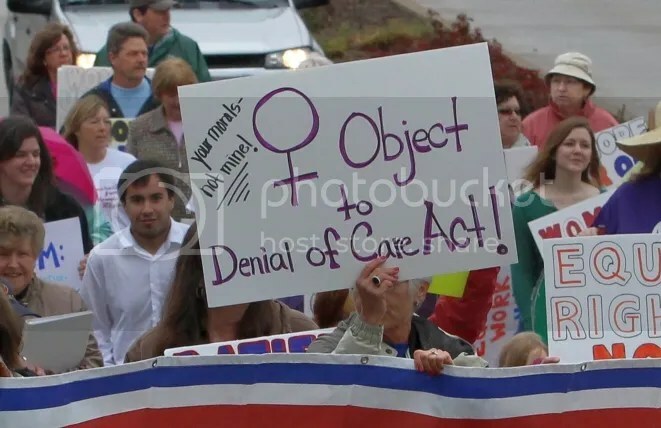 Certainly first and foremost, Susan B. Anthony, Elizabeth Cady Stanton, Alice Paul and Lucretta Mott and the women of their day, who worked tirelessly, from 1867 to 1920 to gain the right for women to vote. And in so doing they endured hunger strikes, time in jail and even death in that struggle. Today, 93 years later, the 19th Amendment, giving women the right to vote, remains the only right guaranteed to women in the U.S. Constitution. These women of yesteryear did not let the fire go out…. 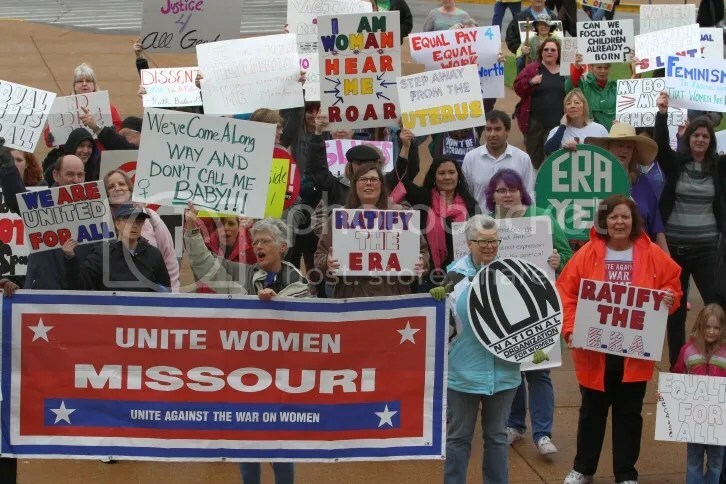 ….When I became a member of the Missouri House, Representative Sue Shear was the sponsor of the ERA, during what was referred to as the second wave of the ratification process after having been in the trenches during the first wave. 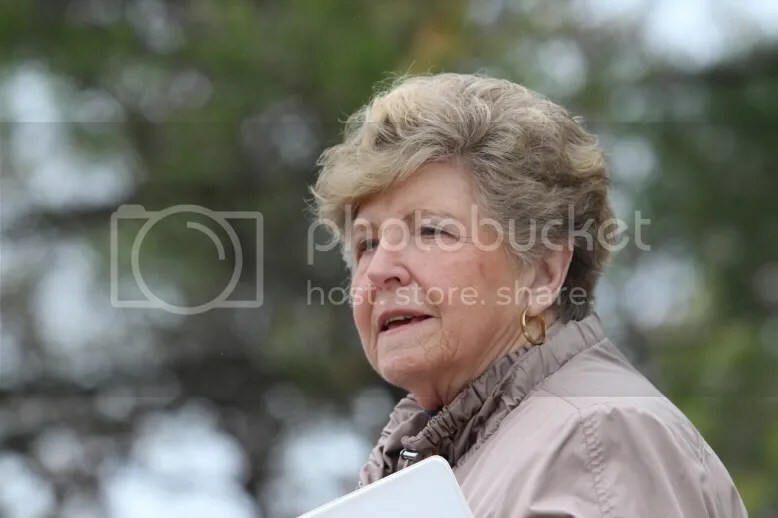 She was an outstanding legislator who championed many other pieces of progressive legislation. I remember vividly a morning session of the House when Speaker Gaw had arranged a tribute to Suzy, as she was fondly called, by placing the Equal Rights Amendment on the calendar for that day, making arrangements for a speaker and preparing a House Resolution honoring her 36 years as a member of the House. Rep. Shear had cancer and was hospitalized in St. Louis. The call was made and a frail voice came over the phone “Mr. Speaker”. Speaker Gaw replied — ”For what reason does the lady from the 83rd District wish to be recognized?” And Suzy replied, “Mr Speaker, I move that the ERA be adopted.” Then she proceeded to speak, briefly but passionately, about the merits of the ERA. Unfortunately, this time of honoring Representative Shear became the lowest point of my legislative experience, and of many others who witnessed what happened, when Representative Vicky Hartzler, now Congresswoman Hartzler, who by the way recently voted no on the Violence Against Women Act, stood on the House floor and engaged Representative Shear in a contentious and what seemed to be a never ending debate on the evils of the ERA. Not long afterward Representative Shear passed away. But she had literally kept the fire burning on ERA to the last days of her life. Soon after the death of Rep. Shear, I attended a BPW [Business and Professional Women] legislative workshop held across the way at the Capitol Plaza. I had been in Jefferson City all week and the last thing I wanted to do was to go back on Saturday. However, I could not say no to my good friend and supporter, Marie Hyatt, another first waver and so she and I went as representatives of the of the Warrensburg BPW. We broke out in small groups to talk about ERA. From where I was sitting I could hear the conversation from a nearby table and heard someone say, “Maybe Representative Williams would sponsor the ERA”. It had never entered my mind that I would take up what Rep. Shear had done for so many years. I had not been in the trenches during the first wave and was totally unprepared for this task. 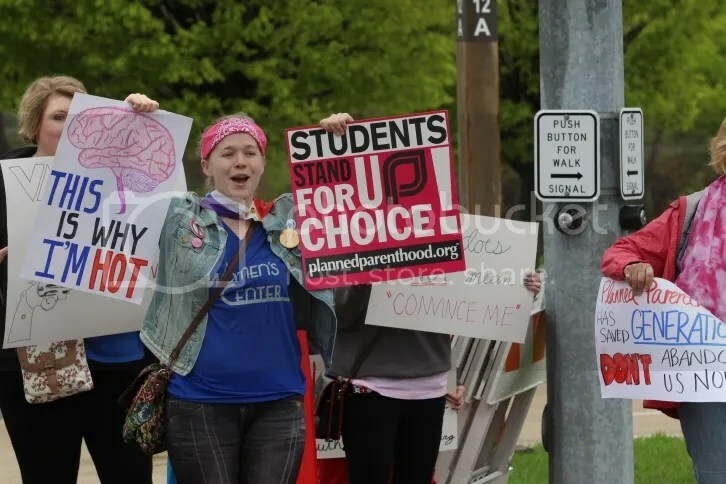 But finally, I walked over to the table and said “I am Rep. Williams and I will sponsor the ERA.” My legislative assistant, Marie Gladbach, was elated when I told her on Monday morning what we were going to be doing. She had been involved in the first wave also. 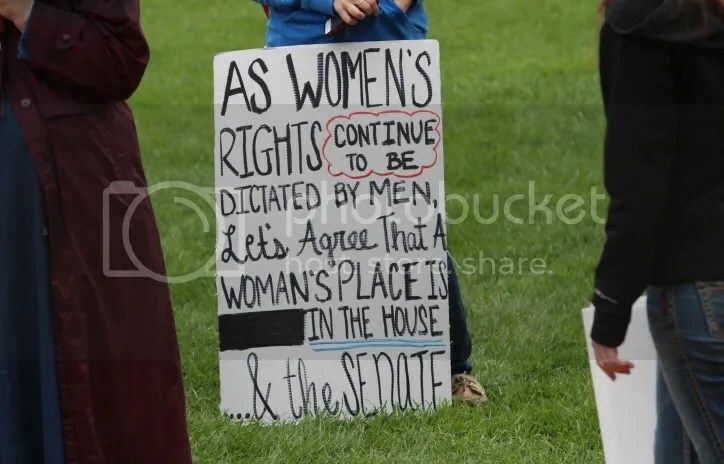 During the time when I sponsored the ERA, I discovered that many women, and especially the younger women, thought they already had equal rights and they could not see the need to have these rights included in the Constitution. As we watch now, almost daily, we see these rights, that so many take for granted, being limited, unfunded or underfunded and even in some instances eliminated. Hopefully more and more people and especially the young women see the need for inclusion in Constitution as the only guarantee to these rights. 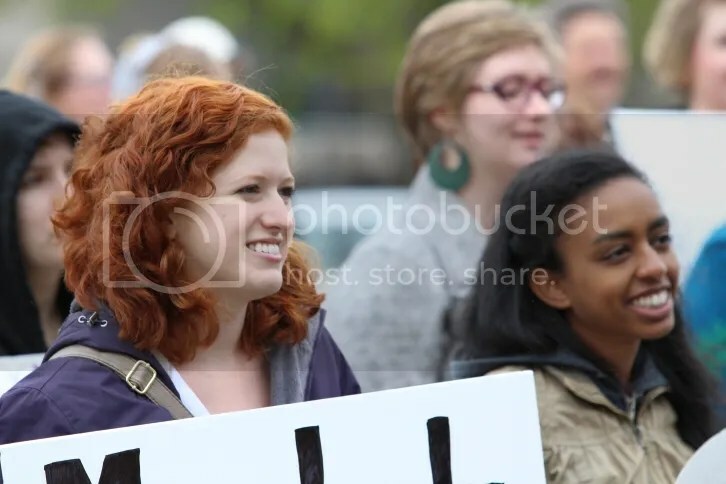 Organizations like those involved in this rally, and BPW, AAUW and others play a key part in keeping the fire from going out. Passing ERA in the Missouri legislature in the 90’s was challenging and our motto was, “If their minds can’t be changed, change their faces”. As you well know, this has not happened and the number and the resolve of the opposition has grown stronger and stronger. It is incumbent upon all of us here today to work diligently in the next election and however many elections it takes to changed these faces to women’s rights friendly faces. Senator Justus, with SR 6 and Representative Morgan, HR 36, and their co-sponsors are to be commended for their resolve, in a very difficult environment, to keeping the fire from going out. Women and I want to thank the men in attendance here today and other men who have been supporters over the years. Every man has or had a mother, most have a wife and many have daughters. 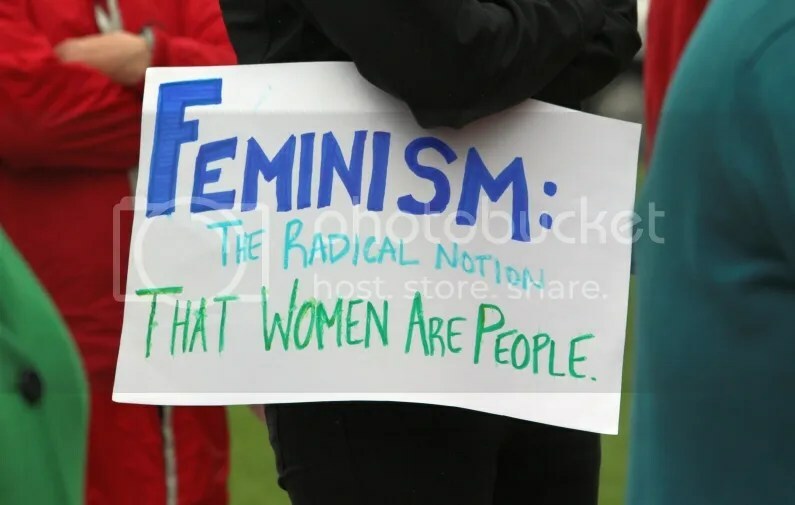 And so, why would men not want to support the efforts against the assault of reproductive rights, the threat to women in the areas of education, equal pay for equal work, voter suppression and crimes against women? The first thing on the agenda each day in the House is the approval of the journal from the previous session. One year the Republican members of the house became upset about something and decided that they would vote against approving the journal until their issue was addressed. There were, at that time, enough Democrats in the House to approve the journal without the votes of the Republicans, so it became rather routine until one day when Representative Mike Shilling, a male and supporter of women’s rights, convinced enough Democratic supporters of ERA, who were upset with ERA not being placed on the calendar, to not show up for the vote to approve the journal. 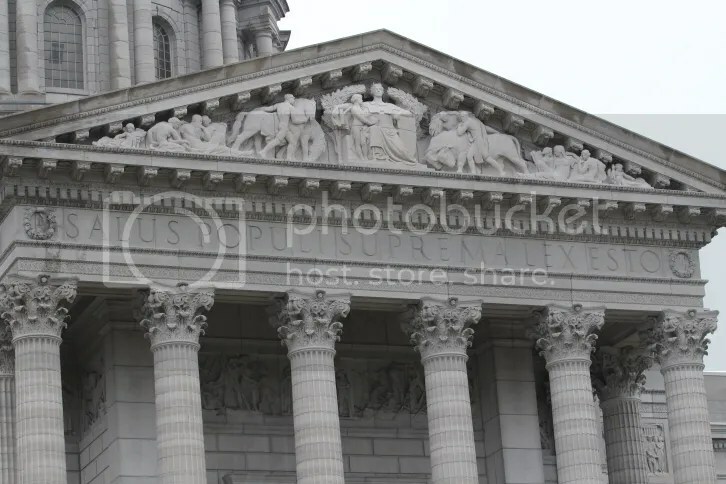 Well, with Republicans voting no and twelve Democrats absent, the votes were not there to approve the journal and business in the House came to a standstill. House leadership met with the group of twelve and agreed to place ERA on the calendar, assuring floor debate and a vote, which failed as expected, but was viewed as positive from the standpoint of keeping the issue of ERA on the front burner. Thanks to the men and to Representative Mike Schilling for their help in keeping the fire from going out. Recently, I attended a lecture by Lilly Ledbetter on the campus of UCM. You will recall that she took her wage discrimination case all the way to the Supreme Court where she lost because of the statute of limitations. In a dramatic moment, Justice Ruth Bader Ginsburg read her dissent from the bench urging Lilly to fight back– and fight she did, becoming the namesake of President Obama’s first official piece of legislation. Today she is a tireless advocate for change, traveling the country to urge women and minorities to claim their civil rights. Her compelling story is told in the book Grace and Grit. Lilly is certainly doing her part in keeping the fire from going out and we can all take inspiration from her efforts. Last but now least, I want to recognize Mary Mosley and congratulate her on receiving the Alice Paul award. She is extremely deserving of this award. 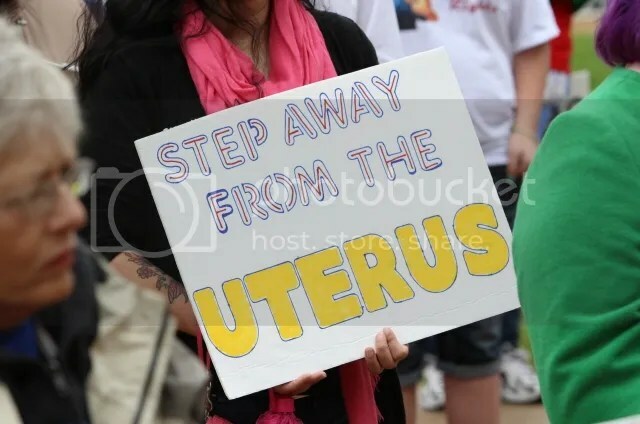 I wish I knew how many miles she has walked in the halls of the capitol in support of progressive issues. She and Shirley Breeze, working together diligently, were my mentors, my teachers and my inspiration. I say thank you for your efforts in keeping the fire from going out. In closing I would like to share this: Life is like bike riding; it would be good to enjoy the occasional chance to sit back and coast along for a short while, but remember, that in general, if you don’t keep pedaling, it won’t be long until you fall down. At the start of the march. On the street, joining the march. 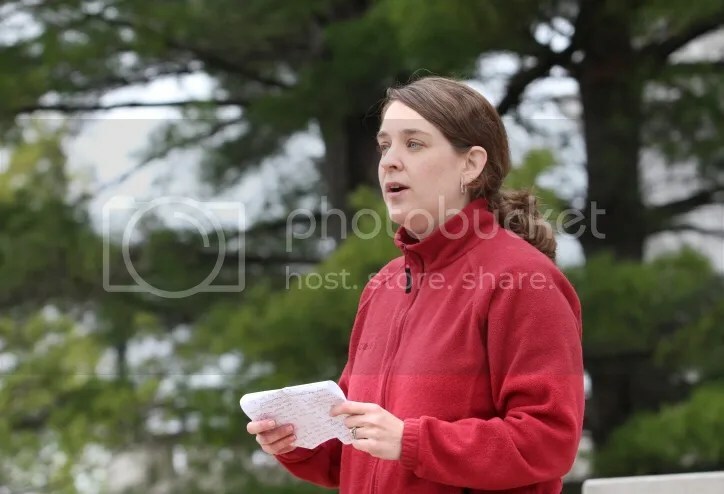 Michelle Trupiano, Missouri Lobbyist and Public Policy Manager for Planned Parenthood of Kansas & Mid-Missouri, addressed the rally. 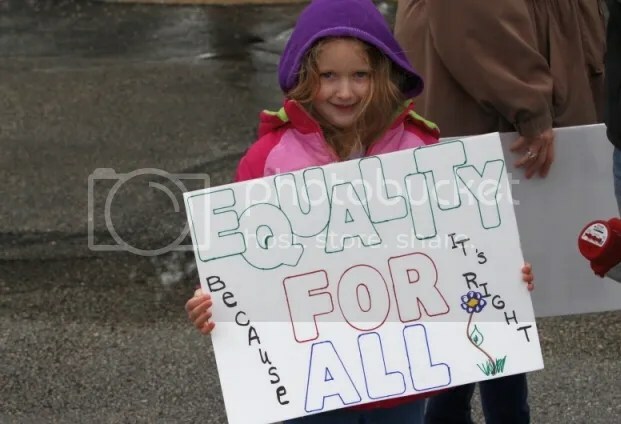 Supporting the Equal Rights Amendment. 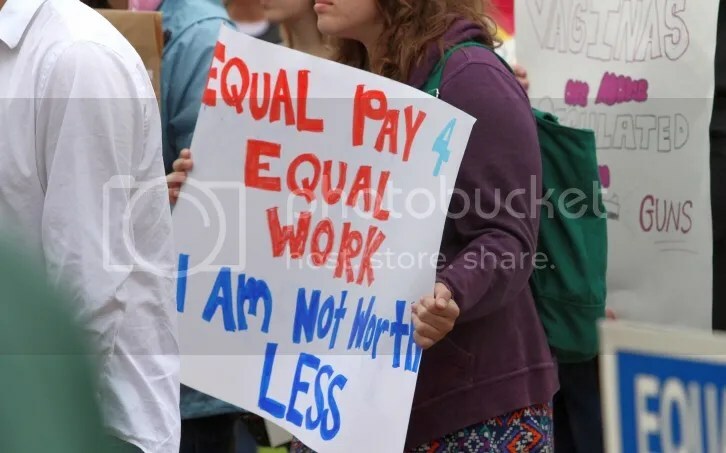 A novel concept – equal pay for equal work. in the food service industry because of Obamacare. And he made a living wage while selling those fries. FAA Sequester Reprieve: The Start of Things to Come? Congress moved quickly today toward putting a stop to the air-traffic-controller furloughs. It won’t be the last such backstop effort to skirt the dreaded sequester knife, though it may be the fastest. Today’s action means that lawmakers will be subjected to only one more sequester-delayed trip home, and perhaps they won’t be buffeted by town-meeting turbulence during the coming recess. But members are sure to be chastised for making an exception to their tough budget rules that only makes life more convenient for themselves and their business constituents. The House arranged this morning for expedited enactment of legislation the Senate passed Thursday night, albeit on a rushed voice vote after several budgetary hard-liners at each end of the political spectrum had left town…. Never underestimate the drive to get home without a flight delay. Campaign Finance: The hand that funds the primary? It will be very interesting to see who receives support from the House Republican Campaign Committee at the next election cycle.